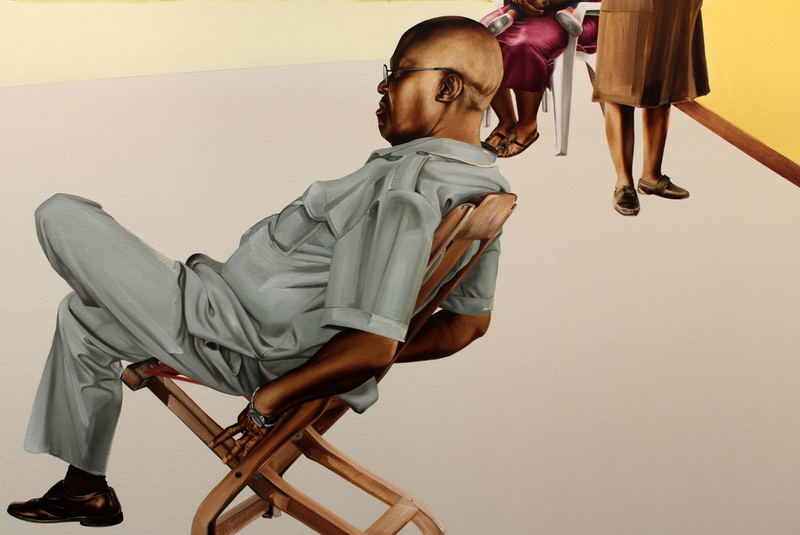 NEW YORK—Brooklyn, N.Y.-based Meleko Mokgosi paints photo-realistic scenarios, moments and scenes. 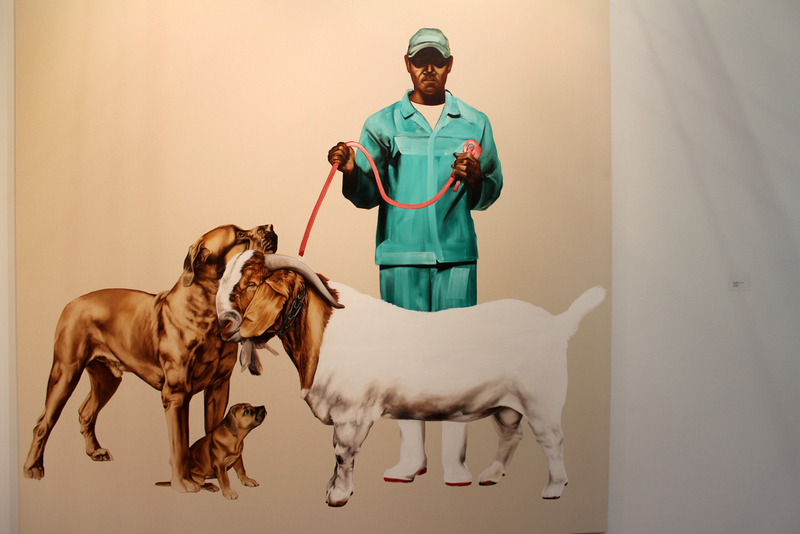 His representational depictions feature individuals and groups executed on a large scale with amazing color. 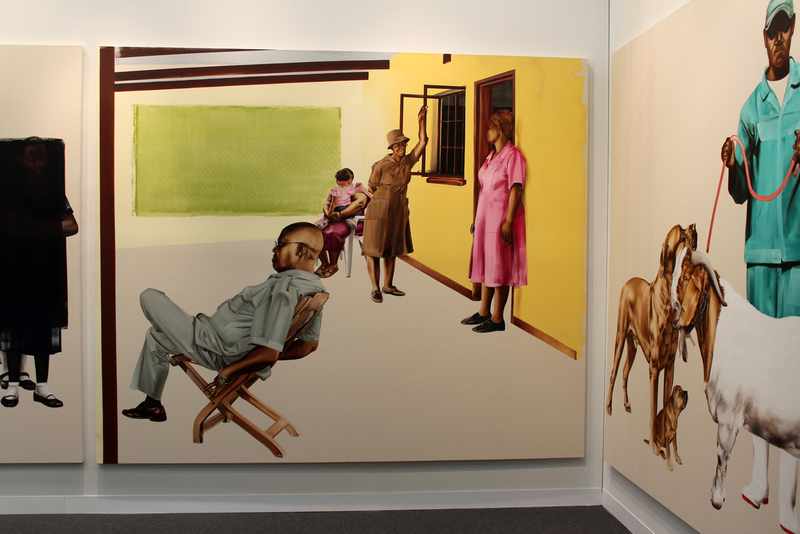 When his canvases are hung side-by-side, there is an implied connection, a narrative through line, despite their disjointed appearance. 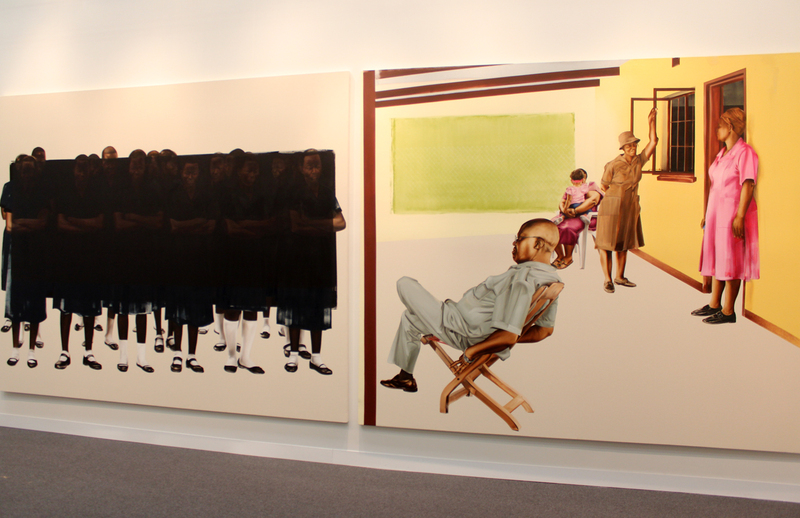 Striking works from his “Pax Kaffraria” project were exhibited by Honor Fraser Gallery at the Armory Show earlier this year, and at his first solo show at the gallery in Los Angeles, which concluded over the weekend. 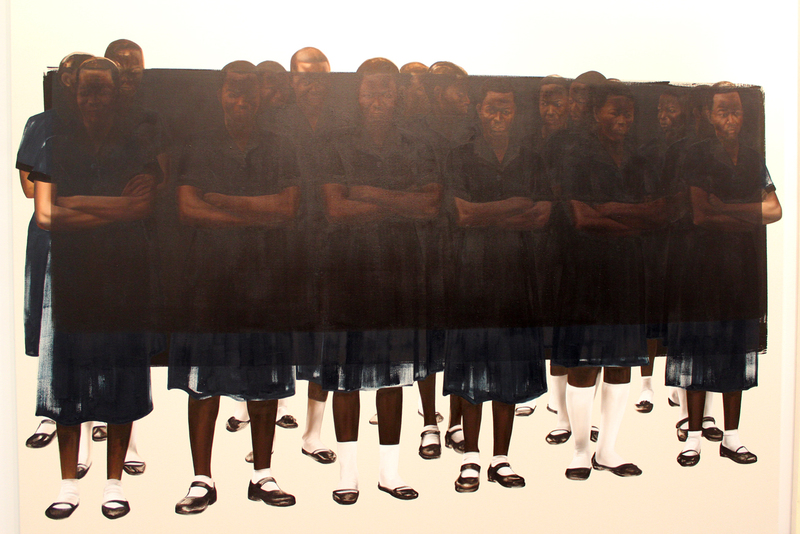 “Meleko Mokgosi: Pax Kaffraria” was on view at Honor Fraser in Los Angeles from April 19 to May 31, 2014. 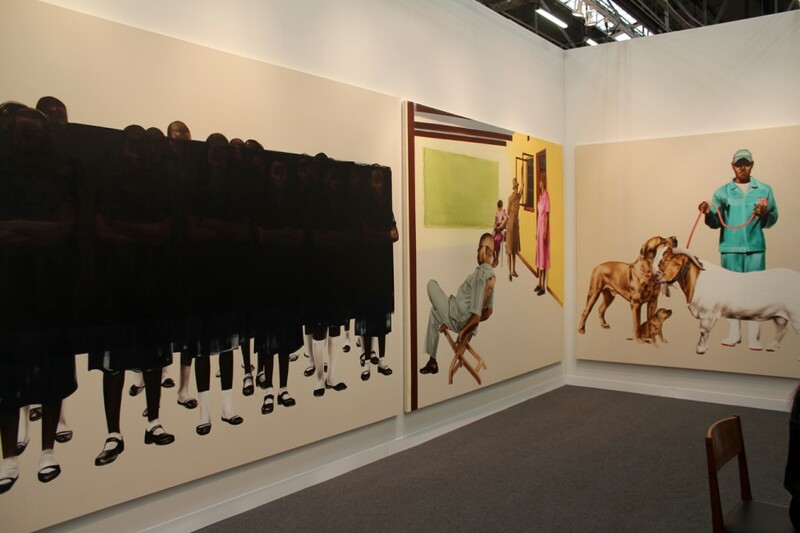 The images of “Pax Kaffraria” below were captured at the Honor Fraser booth at the Armory Show in March 2014.